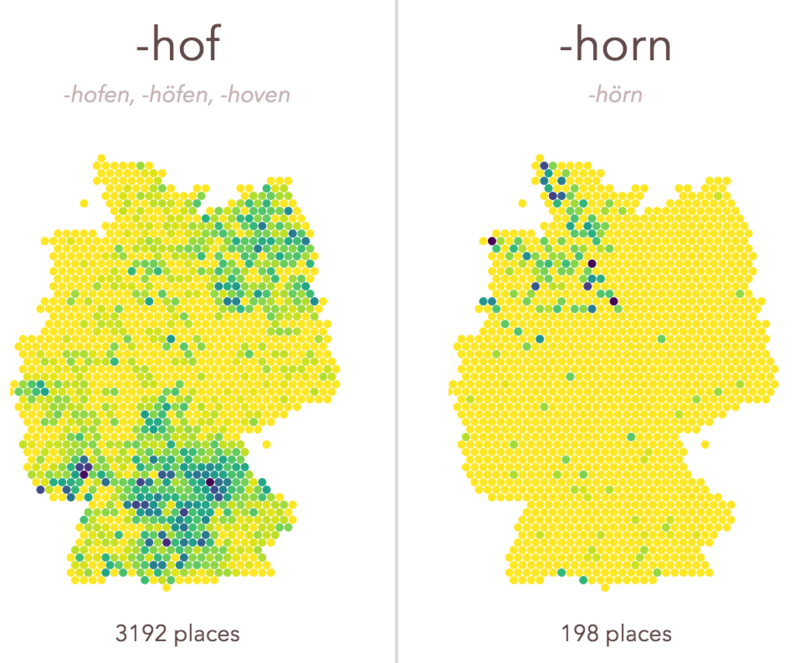 If you travel across Germany, you will notice how some place name endings are quite universal, and others are quite specific, regionally. -ach, -ingen, -zell is a little exploration of those spatial patterns. It was a welcome opportunity to experiment with a few techniques I wanted to learn more about. Find the code with some remarks on github.